The United Arab Emirates value-added tax called as (VAT) which is a type of consumption tax that is placed on a product whenever value is added at a stage of production and at the point of retail sale. January 1. 2018, the United Arab Emirates value-added tax called as (VAT) which is a type of consumption tax that is placed on a product whenever value is added at a stage of production and at the point of retail sale. The UAE is seeing value-added tax (VAT) on property transactions across the emirates, including Dubai. The whole United Arab Emirates (UAE) is implementing value added tax (VAT) of 5%. 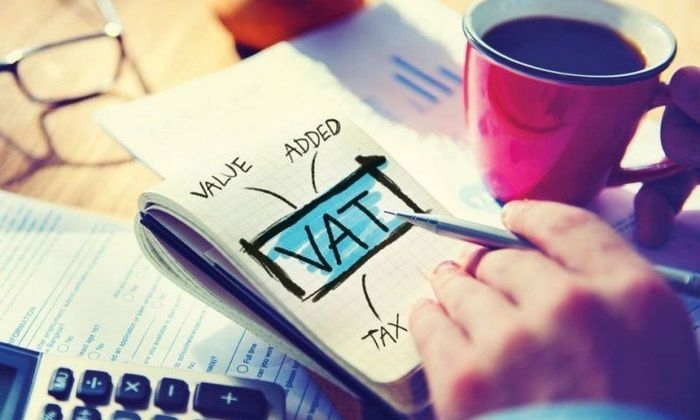 The VAT has been place at 5 per cent, which is among the one of the lowest rates in the world, with some other countries such as the UK and Spain charging more than 20 per cent. Despite Value Added Tax in the United Arab Emiratesbeing levied at only 5%, its introduction could raise concerns among some property investors and property buyers. There are chances that the tax will potentially a major cash flow issue with all the funds which is moving from one account to the other account, that is the VAT paid will be will be compensated with VAT charged. Possibly the customers to pay more for property related purchases also has the potential to adversely affect sentiment in the market in general, with businesses now required to register in the website of the Federal Tax Authority (FTA), among the industries to be impacted by the new policy is real estate in Dubai. The introduction of VAT for property transactions in Dubai is likely to make a negligible difference in terms of buyer interest. Five per cent remains one of the lowest rates for VAT in the world and because it is usually charged by one side and claimed back by the other, there's not likely to be much impact overall. It is important to know that there are two types of charge. The Value Added Tax charged on supplies which include services by a registered firm, lawyers/ accountants (outputs) and the levy paid to suppliers for them to produce these goods and services (inputs). With VAT, these inputs and outputs should level each other out, but sometimes it is not possible to charge VAT in both cases for that to happen. The secondary or resale home market will be exempt from VAT at the point of sale but buyers will be subject to pay the tax on commissions and other government fees relating to these purchases. The initial sale of its projects is exempted from some jurisdictions. * The establishment that is not a ‘building fixed to the ground’ and can be easily moved from one place to another without causing any damaged. * Any property that is used as a hotel, motel, bed and breakfast establishment or hospital or anything similar. * The serviced apartments where its services are in addition to the supply of accommodation are provided. However, for commercial properties in Dubai and in the whole UAE, the Value Added Tax will be implemented on commercial buildings for example hotels, shops, warehouses and etc. For a mixed-use buildingsi.e. both residential and commercial the rent or sale of the residential units will be VAT exempted, depending if it is an initial supply or a subsequent supply and all commercial units, however will be subject to the 5% VAT. The tax acquired by the owner on its building needs, it should be apportioned where there is an exempt supply. The only portion that can be recovered which is related to taxable supply (i.e. 0 to 5%). Residential properties for rent will be exempted from VAT implementation. The rent of commercial buildings will however be subject to 5% VAT. As an Owners of residential real estate projects in Dubai need not to register for VAT if they are not involved in other business activities. Obviously, as a developer it makes sense to register, but for smaller landlords or service providers in relation to property, it could be a matter of choice, if there was one.. However, if they own a commercial building, the owner should register the value of all the building’s supplies over the past 12 months to determine if it exceeds AED 375,000 or if it is projected to exceed AED 375,000 in the coming 30 days. A landlord of residential building will not be able to recover VAT in respect of expenses related to the exempt supply of the residential buildings. An owner of a commercial building will generally be able to recover VAT in respect of expenses related to the supply of the building. The issue of VAT generally becomes a matter of cash flow. There is no reason for it to impact the value of real estate units or property prices negatively. Ultimately, although VAT becomes another factor to consider when buying property in Dubai, its impact is widely expected to be minimal in terms of adding additional costs to real estate transactions. Thank you for posting your comment ! !